Raised in obscurity, shooting to prominence in the nation of Israel, David became a powerful figure and everyone loved him, well, not quite everyone. Read about his battles, his triumphs, and also his troubles in this engaging, easy-to-use guide. With David Vol 2 by Michael Bentley is published by Day One and is our 63162nd best seller. The ISBN for With David Vol 2 is 9781846250156. In this broad sweep of David's life in sixteen chapters/studies he is not idolised; we are encouraged to learn from his mistakes and sinfulness as well as his closeness to God. 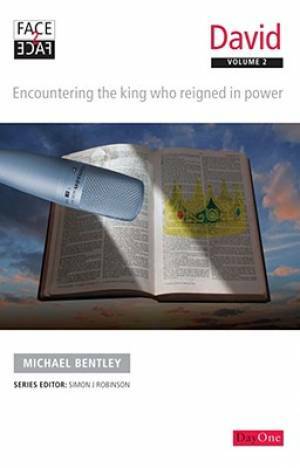 In an interesting examination of events and personalities in David's life, Bentley frequently emphasises that our close relationship to God is through Jesus Christ. With repentance for sin we must share David's contrite heart. The story reflects much of our contemporary situations and experiences, and references to the psalms emphasises this. These studies are therefore best shared in a group. Got a question? No problem! Just click here to ask us about With David Vol 2.